The classic 'Biff' is immortalized in two packed DATAFILE SPECIALS! Volume 2 covers post war Bristols. 52 pages with Mk.IV and airframe structural drawings, over 101 photos, handbook sketches, more colour and black and white close-ups plus colour profiles. Also features US and Polish versions. 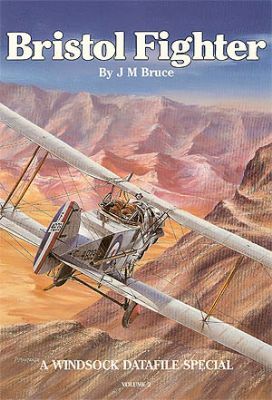 The Bristol Fighter's squadron service is covered in this unique volume with over 100 photos and three pages of colour profiles illustrating all unit markings employed on the type. Includes 1:8 scale drawings.